With the start of the new school year just around the corner, the Centers for Disease Control and Prevention (CDC) have released a new report showing that less than one in five U.S. middle schools and high schools actually follow the recommendation from the American Academy of Pediatrics about starting the school day no earlier than 8:30 a.m. According to the information published in the CDC’s weekly report, starting the school day too early is keeping too many students from getting enough sleep to maintain good health and ensure academic success. 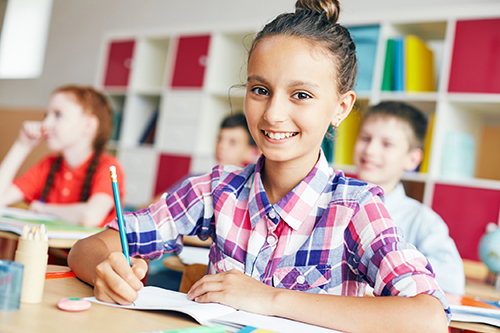 This conclusion is based off a 2014 paper in the journal Pediatrics (by the American Academy of Pediatrics), which suggested that delaying the start time for middle school and high school students would allow these adolescents to get better sleep (at least 8.5 hours)—thereby improving their physical and mental health, safety, academic performance, and overall quality of life. Going back to the CDC’s report, researchers looked into the start time at almost 40,000 middle schools and high schools and found that, despite the recommended 8:30 a.m. start time, at least 75% of schools in 42 states start much earlier. According to their findings, the average school day starts at 8:03 a.m.—the earliest recorded start time was 7:40 a.m. in Louisiana, while the latest was 8:33 a.m. in Alaska. Both the CDC and the American Academy of Pediatrics are urging for later start times at schools as a means for promoting healthier sleep habits. However, they’re also calling attention to other factors that need to be addressed in order to have a significant effect on students’ physical and mental health, such as maintaining consistent bedtimes and having healthcare providers educate parents and adolescents about the importance of sufficient sleep. “Most U.S. middle and high schools start the school day too early,” Centers for Disease Control and Prevention web site, August 7, 2015; http://www.cdc.gov/media/releases/2015/p0806-school-sleep.html.